Easter is coming! Aside from the cute egg decor and the yummy treats and the family time, there is always time for making a cute wreath to put out on the door! Have you ever made an Easter wreath? If not, don’t worry you don’t have to be a pro to make something cute to deck out your doorstep! 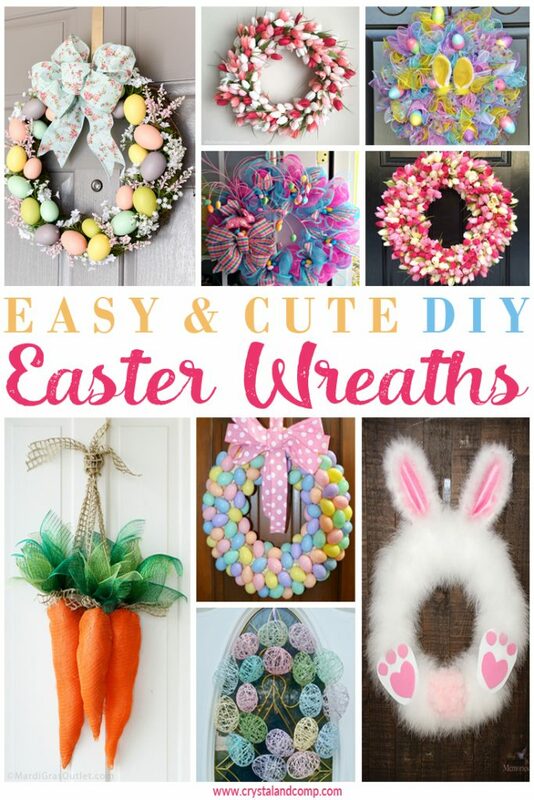 Here are some super simple and super cute DIY Easter Wreaths you can make with common supplies like plastic eggs, pom poms, spray paint, Easter decorations, wreath forms and flowers. We love how adorable each of these turned out and how they can be created at home! Which one are you most excited to make? Any of these wreaths on your front door would be perfect!